Hate is on the rise in the UK. Tell MAMA founder Fiyaz Mughal says there are parallels between the surge in antisemitism and Islamophobia. The Community Security Trust has released its annual report on the state of antisemitism in the United Kingdom, revealing a record 16% increase in antisemitic incidents (1,652) over the past year. It was the highest annual total of antisemitic incidents that the charity recorded in comparison with the 1,420 recorded in 2017 and 1,375 in 2016. In those years, the figures were the highest recorded at any time since 1984, when recording began. The highest monthly totals were recorded from April to September 2018, with the charity suggesting that the media focus on antisemitism within Labour also heightened and triggered more incidents and the reporting of such incidents to the charity. Sadly, we know that international events, whether in Israel or Gaza, or in Iraq and Syria, also have repercussions for British Jewish and Muslim communities. Such is the inter-connected world we live in. Nearly half (45%) of the incidents recorded by CST in 2018 involved the use of extremist language or imagery – with the vast majority of them highlighting language or imagery associated with far right or Nazi-era ideology. The counterpart to the CST in Muslim communities is Tell MAMA, the organisation I helped found. Its interim report looked at anti-Muslim hate incidents from January to June 2018 – revealing around 700 incidents in six months. An extrapolation of this may show between 1,400-1,600 cases in total during 2018. Both Tell MAMA and the CST recorded the highest number of anti-Muslim and antisemitic incidents in 2018. It seems that hate is truly a lucrative and high-impact business for some. In both anti-Muslim hate and antisemitism, the main case classification was based on abusive behaviour, followed by threats and low-level harassment. However, Tell MAMA noted that discrimination in the workplace and in the provision of goods and services had moved into third place in the category of hate incidents reported. This is something which separates hate incidents against Muslims and Jews – the level of discrimination felt within work and in service provision against Muslims. 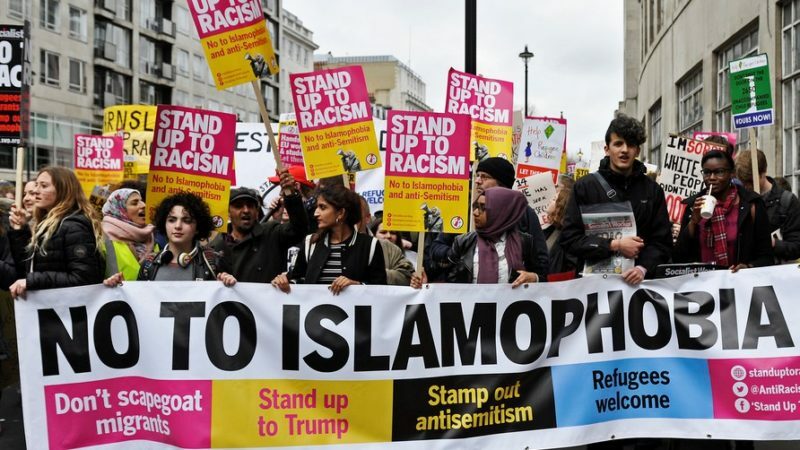 Geographically, most Muslims are located in West and South Yorkshire, Greater Manchester, Birmingham and London, and Tell MAMA has picked up clusters of anti-Muslim hate from these areas. The CST report highlights how 73% of the 1,652 antisemitic incidents emanated from Greater Manchester and London where the majority of Jews live. A key similarity between antisemitism and anti-Muslim hate is the gender of the perpetrators. In the CST’s 2018 report, where data was known, 84% of the offenders were male. This corresponds to the overwhelming number of cases where the perpetrator is male in anti-Muslim incidents. Men, it seems, make up the vast bulk of the perpetrator base in both social phenomena. There is also a growing impact of extremist groups and their influence on hate incidents by far right and Islamist extremist groups. Islamist terrorism has been repeatedly shown to trigger latent anti-Muslim intolerance. Far right and Islamist extremism similarly poses a direct and ongoing threat to Jewish communities in the country. The work of both the CST and Tell MAMA are early warning indicators of the state of our nation’s health vis-à-vis hatred and intolerance. They are our canaries in the coal mines. If we cannot hear their voices now, the toxin and poison of hate may spread much wider. Fiyaz Mughal is founder of Tell MAMA and director of Faith Matters.